The Program Committee is organizing a diverse scientific program of microsymposia and keynote lectures in five focus areas to illustrate the growth in science of the ECA Special Interest Groups and the additional networking activity of the General Interest Groups. At ECM28 we will celebrate the centenary of the first crystal structure determinations, and have the opportunity to view at first hand some of the original equipment used by the Bragg father and son, William Henry and William Lawrence. 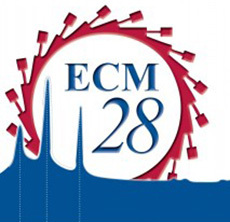 The award ceremony of the 7th Max Perutz Prize of the European Crystallographic Association will also take place during ECM28.